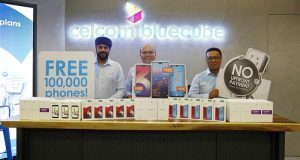 Market research firm, GfK reported that consumers bought around MYR 6.8 billion worth of smartphones (March 2016 – February 2017), a significant increase from MYR 5.4 billion in 2015, with the biggest spike in sales contributed by mid-range models costing between MYR 900 to MYR 1,050. 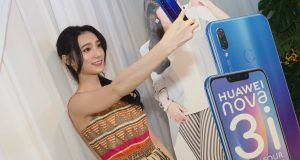 Chinese smartphone brands were the key drivers to the spike in demand for mobile devices last year, which registered the highest number of new smartphone brands entering the marketplace. 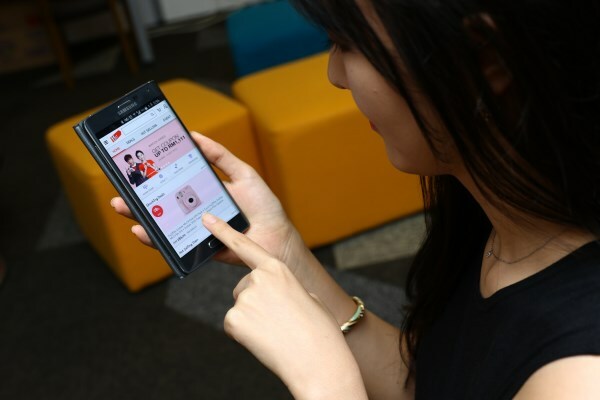 The firm said that Malaysian consumers are choosing bigger screen size smartphones, with over two-fifth (45%) of the 8.5 million units of mobile handset purchased in the last 12 months measuring over 5 inches. 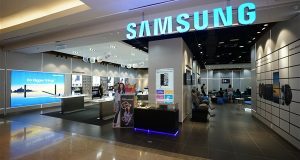 According to GfK Point of Sales tracking (March 2016 – February 2017), 37 percent of smartphones sold in the country during this period had screen sizes ranging from 5.01 to 5.6 inches; as compared to only 21 percent a year before, making it the fastest growing screen size segment in the past 12 months. 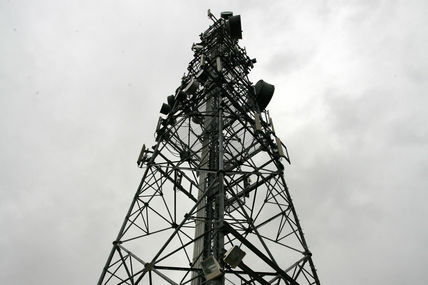 Across all of Malaysia’s technical consumer goods sectors tracked by GfK which include Consumer Electronics, Major and Small Domestic Appliances, Photography and Information Technology, consumer spend is highest in Telecommunications, it claims. 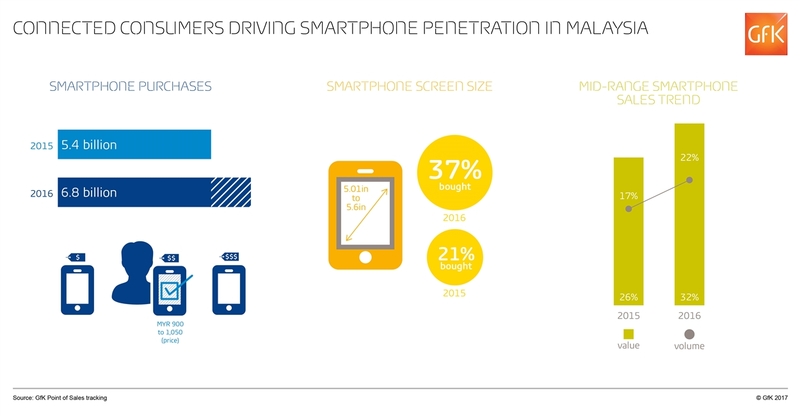 In its 2016 GfK Shopper Monitor Electro consumer survey conducted across APAC, majority of Malaysian respondents indicated price and brand image as key deciding factors in purchasing smartphones. 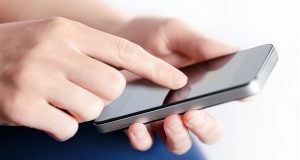 A separate GfK study based on Point of Sales (POS) Tracking also revealed that the product life cycles of smartphones have significantly reduced as newer models are being introduced at a faster pace. 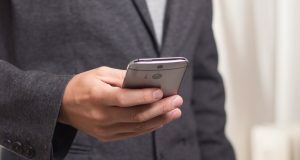 This implies brands now have a shorter time window to effectively market their smartphones. It becomes imperative for them to constantly understand and obtain insights on how their marketing mix efforts and investments impact sales of their products so as to optimise strategies swiftly to achieve maximum returns on their portfolio, it said.